Our purpose is to provide the best Angus genetics possible to our customers so they will be successful in producing beef for the consumer at a profit. The original cow herd consisted mainly of such cow lines as McHenry Blackcap, Rosemere Barbara and Pride of Aberdeen. No outside females have been brought into the main herd since 1957. The bulls and heifers in our Saturday, March 23, 2019 Sale are from these AI sires. We love it, we live it and we put a lot of hard work into it. 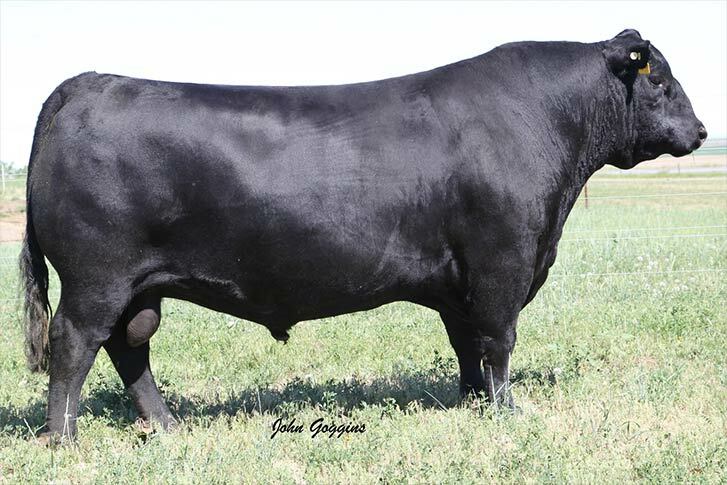 The first Angus cattle were purchased by 1948, and Angus have continuously been bred and produced since that time. The ranch title “Littlerobe” began in 1965 with the move to our present location on Littlerobe Creek, located on the Texas-Oklahoma State line. For over 30 years, Littlerobe has been a practical, full-time operation of registered Angus cattle for two Jenkins families. In January 2019 Duane passed on, and the ranch is now operated by his wife, Donna Jenkins, their son Dale and his wife Brenda. Duane and Donna’s two other sons and families, David and Cindy Jenkins of Goodwell, Oklahoma and Daniel and Jackie Jenkins of Turkey, Texas come back to help with the annual production sale each spring. Some of the most satisfying rewards of raising Angus cattle are meeting and getting acquainted with such wonderful people. You are welcome to come visit us any time! About 80 percent of our registered cows are bred through artificial insemination to some of the breed’s most useful sires. Our genetic focus has been on those traits that identify a fertile, sound, productive female. We use rigid culling and selection measures, which have allowed us to maintain a uniform, highly productive cow herd. We have been in a production program with our cow herd since 1960. Since 1967, all of our production records have been with the American Angus Association’s Angus Herd Improvement Records (AHIR) program. We are concentrating on an optimum level in all traits. Performance does count. Efficiency and gain in the feedlot as well as carcass traits have been of longstanding importance at Littlerobe. We began performance testing our bulls in 1970, participating in various reputable test stations across the Southwest. We now feed all our weaned bull calves our own ration on the ranch for 80 days or more for a high-growth test. Complete performance and ultrasound data are collected and made available.